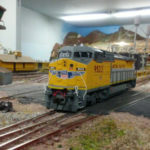 N Scale Buildings are a must have for any city or town layout, even landscape layouts benefit from a few buildings here and there to draw the eye. 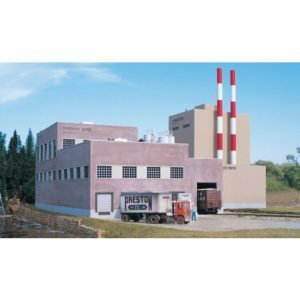 Below is a list of our favorite N Scale Buildings. Some are on this list because they are a great deal, others, because they stand out and are unique. Let’s get right to it! 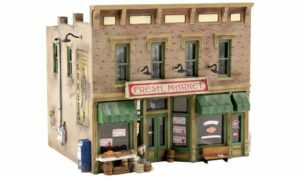 Our first place N Scale Buildings set has it all. It’s a high quality item at a great price. Why buy buildings one at a time, when you can get this set and have everything you need in a high quality pack? 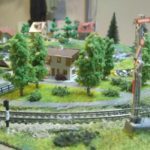 There are many different buildings, which means you can really flesh out your layout. 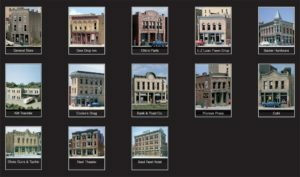 Buildings include: A General Store, Otto’s Parts, Cookie’s Drug, Shotz Guns & Tackle, Baxter Hardware and many more. The casting is great craftsmanship and the buildings mesh well together. You may need to trim or sand a few edges and flashing, but the detail should more than make up for it. 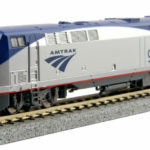 This set is recommended for more advanced modelers, as it requires detailed painting skills. Large smokestacks off in the distance, are the first sign of this serious N Scale Building. If you want to add some industrial buildings, this one is a must have. 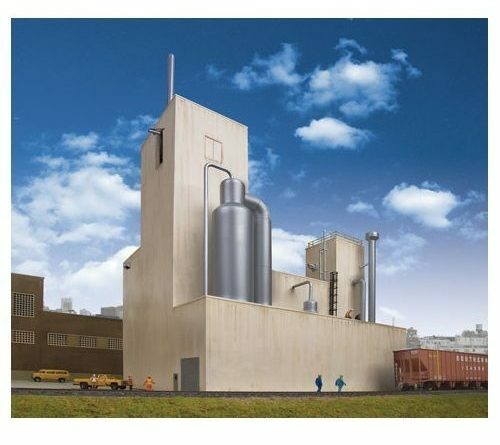 A fully fleshed out paper mill ready to work with the railroads to transport raw materials like wood chips and pulpwood. 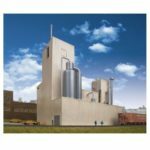 This kit includes 2 buildings, the kraft mill, where the wood is ground up into pulp and the main large brick building that processes the pulp into paper. This is a lot of kit for the price. You can split it up and re-purpose it into many other buildings or use it as one great industrial hub. Yes, this is technically not a building, but having street lights in front of your buildings really adds a level of realism and polish to your layout. 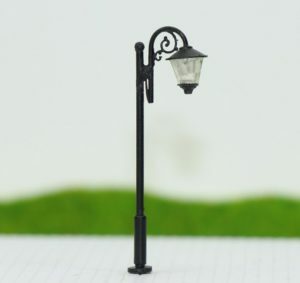 These street lamps are true to N scale and have a great amount of detailing. Basic soldering skills are required to make these work, but it is well worth it to light up your town. The first completely assembled and pre-painted model on this list. 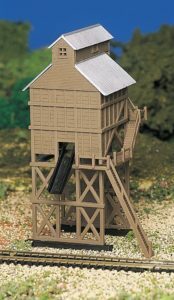 This coaling station is designed to straddle the track and have trains run through it. Two figures on flights of steep stairs are included with the building to add more realism. 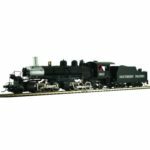 You get great Bachmann quality at a reasonable price. This one is certainly worth a closer look. Something different from the usual buildings. This one is a 3D printed model, so it will require some acrylic paint to make it look nice. 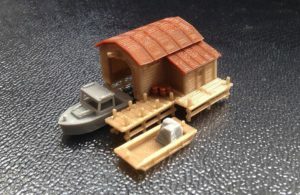 It comes with a boat, which is great for layouts with a lake or river. 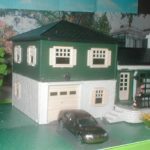 This boathouse makes for a great low cost addition if you want to spend the time to paint it. This is another one for the advanced modelers. It’s a great station, buzzing with passenger train activity. Porters carting luggage and passengers ready to board the trains are just some of the things going on at this station. 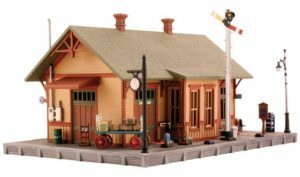 This N Scale Building comes with many add-on parts and stickers that you can customize to your liking. The assembly is not too complicated, but having a magnifying glass and some tweezers handy is always a good idea when modeling N scale buildings. This is where your population buys its groceries. Crates, barrels and even an ice machine are included to make it as lifelike as possible. You can even add a butcher shop or bakery using different decals. 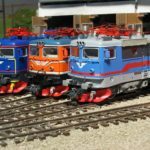 As with all N scale models patience and fine motor skills are required to assemble and paint it just the way you like it. 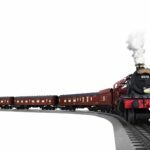 Overall this is a great addition to any N scale Town and will bring some much needed life to any layout. Who doesn’t like a nice log cabin ? Fits perfectly into a nice forest setting for those who like adventure. 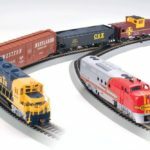 This affordable model requires wood glue and a hobby knife to assemble. It can also be painted or stained. It’s quite high quality at a reasonable price. Last, but certainly not least, we have the country cottage. 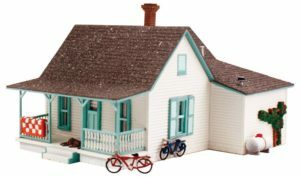 This kit comes with lots of little accessories, such as, bikes, propane tanks, rugs and more. As with the other woodland scenic kits, this does require assembly and painting. Country cottage goes well with grassy areas and country layouts.